StarSeek 5 allows wired or wireless control of Orion's many computerized GoTo telescopes - from the portable StarSeeker IV line to the large-aperture SkyQuest series of GoTo Dobsonians - as well as Celestron, Meade, and other brands (see the StarSeek Telescope Control Compatibility page). It can point your GoTo or "Push-To" telescope anywhere in the sky, using your iPhone/iPad/iPod's built-in WiFi along with our StarSeek Wireless Telescope Controller module (sold separately). Plan observing sessions with Observing Lists, log your observations into them, and share them with friends. Once you try navigating the night sky with your iOS device and StarSeek, you'll never go back to controlling your telescope with its standard — and rather mundane by comparison — hand controller! 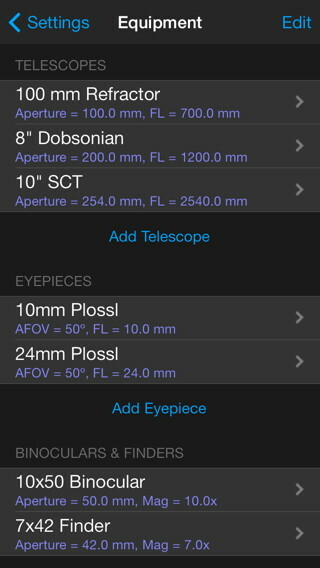 For more information, see the StarSeek Telescope Control Compatibility page and the StarSeek 5 FAQ. 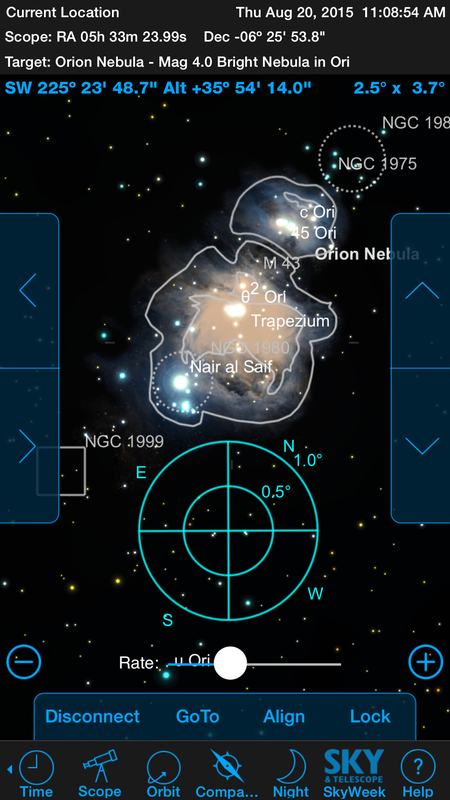 Orion's StarSeek 5 is a powerful and easy-to-use astronomy app equally suited to beginning sky watchers on up to hard-core amateur astronomy enthusiasts and telescope users. 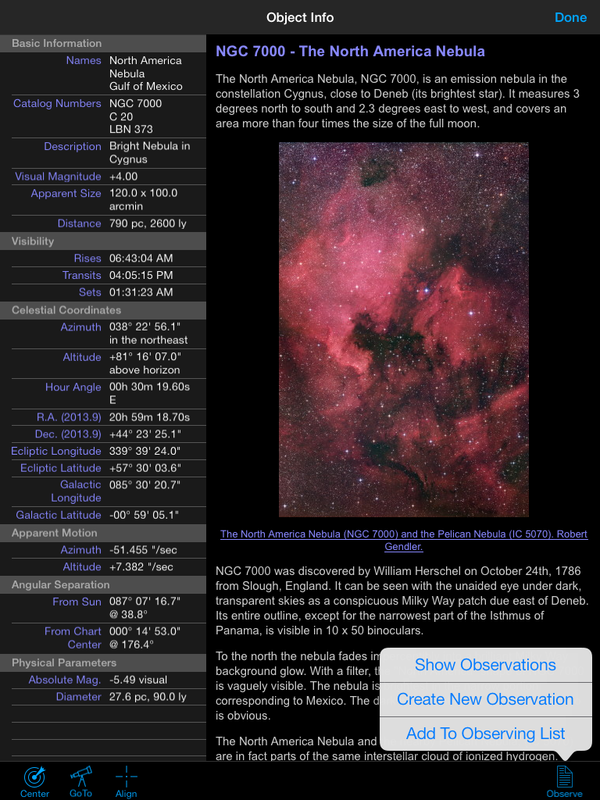 A significant upgrade from StarSeek 4, the StarSeek 5 adds a hugely expanded database and some terrific new features and functionality, while offering even more advanced wireless control of GoTo telescopes. 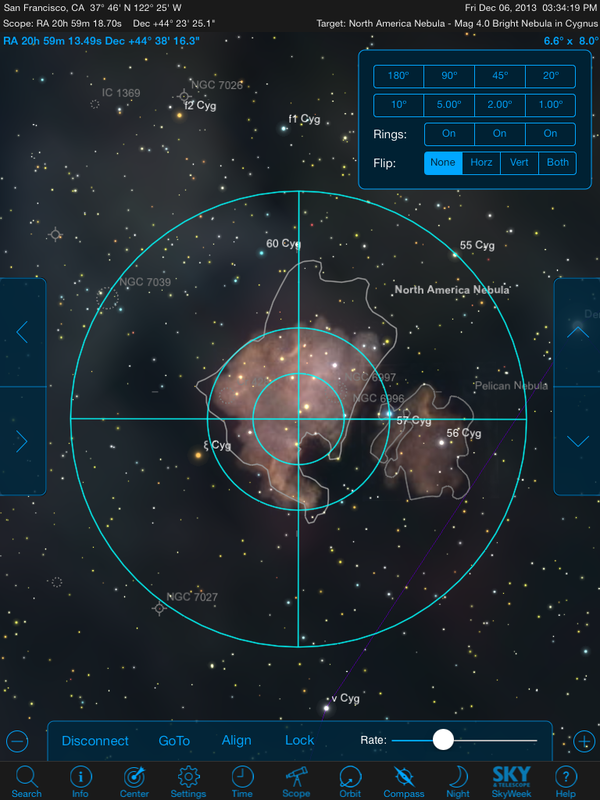 StarSeek's streamlined interface puts the universe literally at your fingertips. 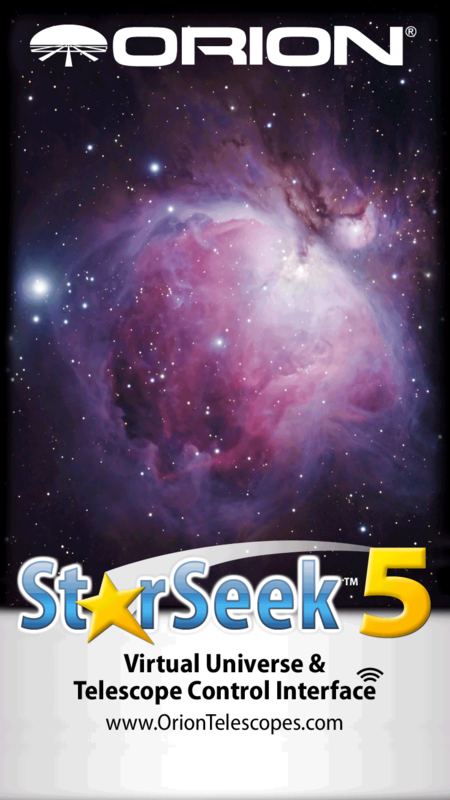 StarSeek 5 lets anyone identify what's in the night sky simply by holding your smartphone or tablet up to the sky! 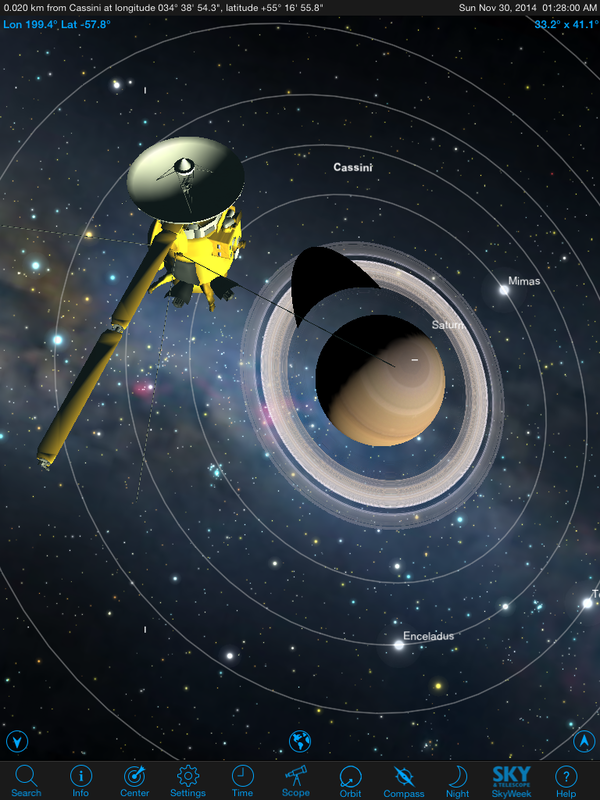 The dynamically changing map will show you "what's up" — literally — as you pan around the sky. Then just tap on an object to get a treasure trove of information about it. Pretty cool! The map is highly customizable, so you can enjoy just the amount and kind of detail you want to see. 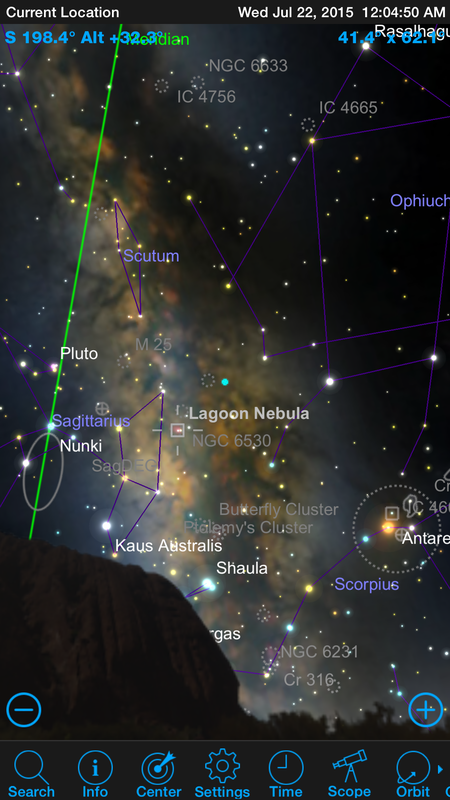 Search for any object in the database, and follow the arrow on screen to locate it in the sky. 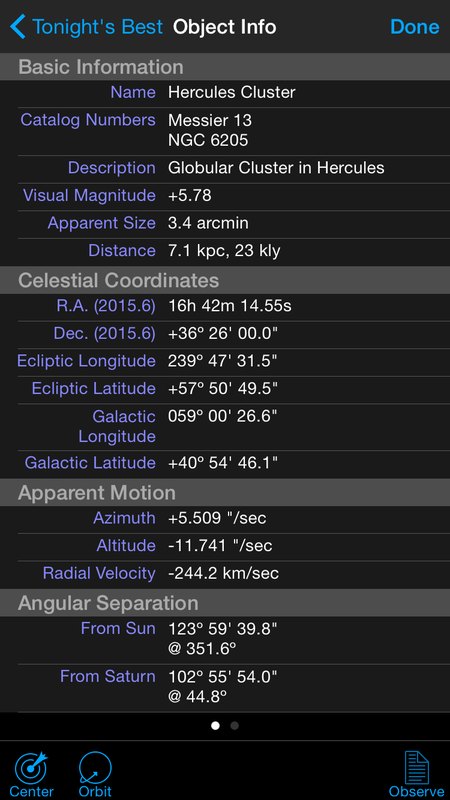 Animate the stars and planets with Time controls as StarSeek 4 compresses days, months, and years into a few seconds. Preserve your eyesight with red-screen "night vision" mode as you're exploring the skies. 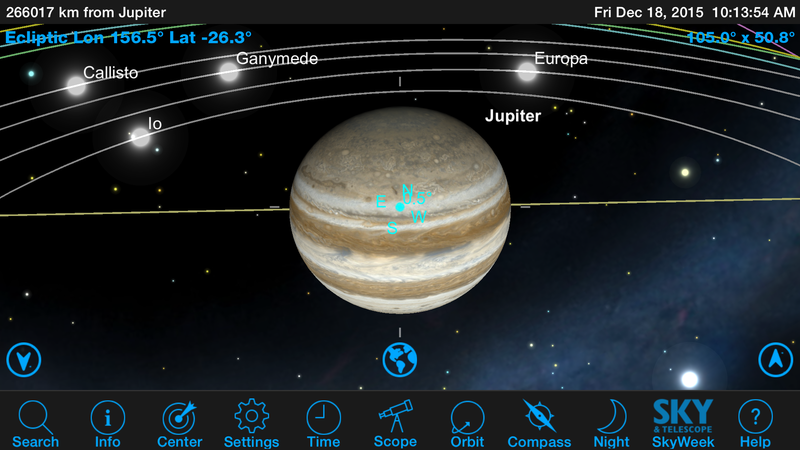 Stay updated with SkyWeek — the mobile version of Sky & Telescope Magazine's weekly column, with interactive sky charts. 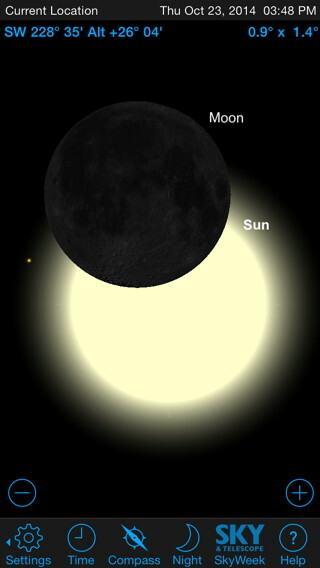 SkyWeek is accessible from right within the app. StarSeek 5 allows wired or wireless control of Orion's many computerized GoTo telescopes — from the portable StarSeeker 4 line to the large-aperture SkyQuest series of GoTo Dobsonians — as well as Celestron, Meade, and other brands (see the compatibility list on the StarSeek Telescope Control Compatibility page). It can point your GoTo or "Push-To" telescope anywhere in the sky, using your smart device's built-in WiFi along with our StarSeek Wireless Telescope Control Module (sold separately). Plan observing sesmobileiOS device and StarSeek, you'll never go back to controlling your telescope with its standard — and rather mundane by comparison — hand controller! Controlling your GoTo telescope using StarSeek 4 sure beats using the scope's native hand controller!